Co-founder of Survivors Voice Europe and Director of SMART UK, training healthcare professionals in addiction for 21 years. In 2010 Sue Cox was awarded a “lifetimes achievement award” for her contribution to the field of addiction treatment. In 2014 she received an “inspirational Woman of the Year award”. These days Sue is a reputable and respected Health care professional, practitioner of Chinese Medicine, Counsellor and the head of a large teaching organisation SMART-UK which teaches the neuro-science of addiction as well as auricular acupuncture for substance misuse. She is the co-author of the first scientific book on this subject “Auricular Acupuncture and Addiction” and has personally taught over thirteen and a half thousand health care professionals. The SMART-UK programme is used in UK hospitals, mental health units, community services, and 128 UK prisons. More recently it is being used by the Military. Sue, and her colleagues in SMART-UK, who include a Doctor of neuro-science, a seasoned psychotherapist and a military doctor, have created a programme which has been embraced by main stream medicine.She says it was always this way! In fact, She said “It was a long and difficult journey to get to “here” from “there”. Sue is a 69 years old grandmother who also was a single Mother of six. She is a Survivor of catholic clergy abuse. Her abuse at the hands of a catholic priest from the age of ten until thirteen, resulted in her downward spiral of mental and emotional disturbance, Alcoholism, Drug Addiction, Eating disorder and Serious self harming. To escape from home aged seventeen she made a disastrous marriage, and was the victim of extreme violence. She had six children and was left alone with them when they were all under twelve. It has taken her many years to climb out of that pit of despair, and regain some kind of real recovery. She is determined to help others climb out of that pit too. In 2010 when receiving her first award, she found herself in the middle of a lot of publicity. She chose that occasion to talk , publicly, for the first time, about her own experience of being abused by a catholic priest. She had battled alcoholism, addiction, self harm and eating disorder, escaped a violent and abusive first marriage, but the sexual abuse at the hands of the priest was the last and the biggest piece of the puzzle, but was the the one that had set the whole self destruct pattern in motion. She decided that this was the time to stand and be counted in the fight against the church and its criminal predators in the hope that her stance might help others. In September 2010 she was asked to take part in a mainstream television documentary “The trouble with the pope” which coincided with the pope’s visit to England. She was asked then to make the first rallying speech at the protest in London against the pope’s visit. There were twenty thousand people who marched that day and who dedicated the march to the survivors of catholic clergy abuse! Later that month, she travelled to Rome in answer to the call from the two survivors from USA, Gary Bergeron and Bernie Mc Daid for other survivors to meet in the shadow of the vatican. Survivors from 14 countries turned up at that meeting. Sue had met survivors before, but had not experienced a real connection. She found some of the organizations to be more focused on fund raising than empowering survivors. She hated the idea of being constantly seen as a “victim”. That meeting in Rome, however, was life changing. Among those gathered were 70 deaf and speech impaired survivors from the Provolo Institute in Verona, all of whom had been seriously and serially abused by the priests and nuns who were supposed to be caring for them. They had NO voice! This was the first time they had “spoken” openly about there abuses. Sue felt an immediate connection with them and has since visited their rallies annually. It was in Rome also that she met and made a lasting connection with Ton Leerschool , another like minded activist survivor from Holland, and together they formed Survivors Voice – Europe. They vowed to help other survivors to find their voices. She has since participated in many rallies in Europe, and particularly supports the deaf and speech impaired clergy abuse survivors from Verona. In May 2013 she and Ton travelled to the UN in Geneva at the request of the UN Committee for the Rights of the Child to give evidence against the vatican on it’s breaches of several articles in the Convention of the rights of the child. They returned to the UN in January when the holy see has to answer to those accusations. That evidence resulted in the scathing report from the UN regarding the abysmal record of the vatican in handling clergy abuse crimes and cover ups. A victory for abuse Survivors worldwide! They then submitted evidence to the UN committee against torture which also resulted in the vatican being found in breach of several articles of the Un’s committee against torture. 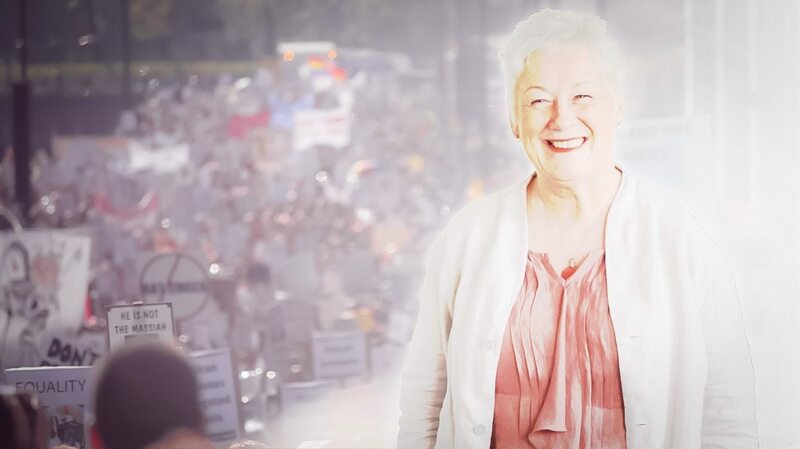 She will be in Geneva in May after submitting a complaint to the UN committee for the rights of the child against the UK’s handling of the child abuse scandals. 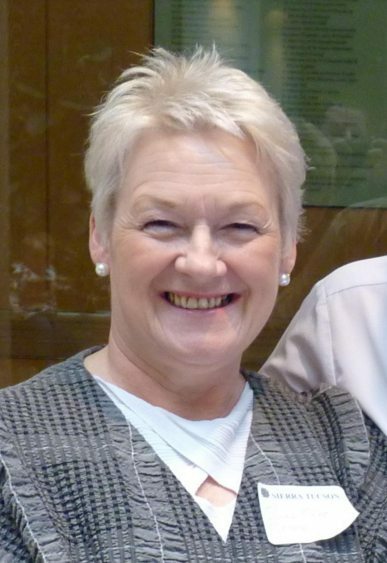 Sue is a regular speaker at conferences in the UK and abroad , and makes many TV and radio contributions. She has been featured in a film in Poland and on Russian television. Survivors Voice Europe has, at it’s core, the desire to connect with, and empower survivors of clergy abuse from all corners of the globe. They self fund their activities, and feel strongly that theirs is a “labour of love” and are horrified the extremely distasteful “cottage industry” that has sprung up around these tragedies,- charities by the score. So SVE will remain forever self supporting through their own contributions. Their website is a wealth of empowerment information for Survivors and those who care about them. Using modern technology, like Skype and social media they have connections with survivors and like minded people all over the World . Because of her professional background and research, Sue’s particular passion is the education of everyone into the true severity of damage caused by that worst betrayal of trust which is catholic clergy abuse. These crimes are often trivialized and the damage underestimated. She presented at the Italian parliament in the seminar “Science, Secularism and Medicine” in 2012. Last year 2015 she spoke in the Polish parliament. Along with her Smart-UK colleagues, sharing their knowledge and professional expertise, she provides a two day workshop: “Winning the battle of the abused brain” which details the brain damage, damage to the immune and other metabolic systems and shortened lifespan of the child abuse victim, and more importantly what the best interventions really are. These workshops are dynamic and innovative, and have been proving invaluable in the UK, and Sue has taught them in America and Europe, and they are going from strength to strength. Sue is completing her book “Unholy Alien”- the story of the isolation caused by clergy abuse. Sue is a member The British Humanist Association, the National Secular Society and Atheism UK. She is an honorary member of the New York Atheist. She is a patron of the “Pink Triangle” and is on the board of the “Godless Grace Foundation” founded by her friend David Orenstein an anthropologist from New York. She has plans to take her workshop to Australia and Italy, and continues with her passionate contribution to the empowerment and recovery of clergy abuse Survivors, and Addicts and intends to do so until her last breath.